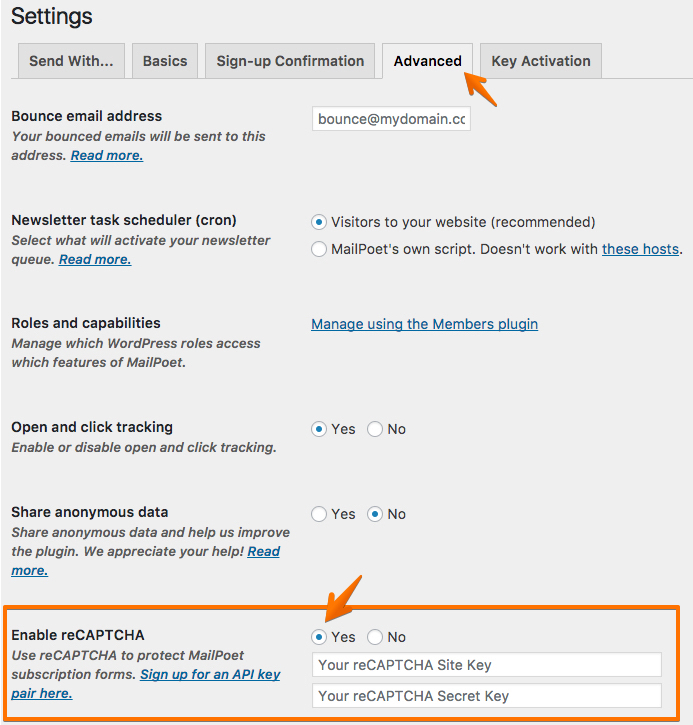 MailPoet 3 optionally offers reCaptcha as an effective method to stop fake signups. We recommend activating it in case there’s evidence of fake signups via our forms only. It won't stop fake signups as WordPress users. 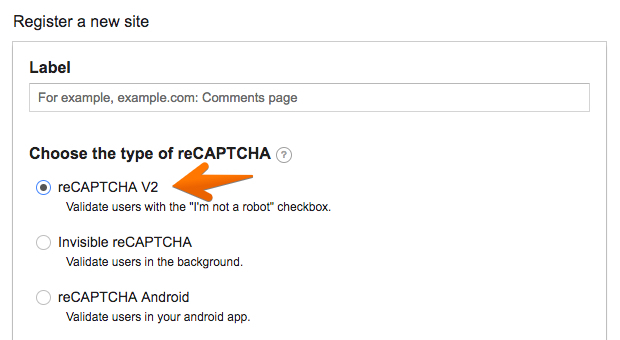 This option is global, which means, once activated, all your subscription forms will contain a reCaptcha validation field after you activate this feature.